Nim landed with a bounce on the table and looked around. Glitter had said she would be a little late. 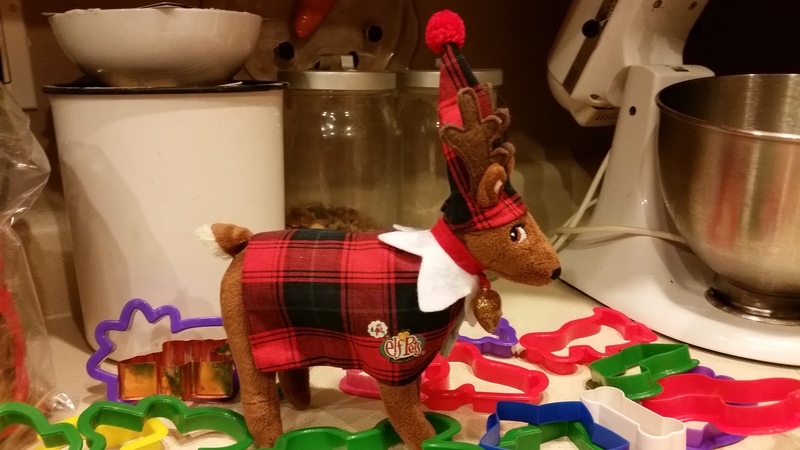 There was to be a surprise birthday party for Slingshot, another reindeer in Glitter’s herd, and she was looking forward to spending some time with her friends. Nim sighed. Glitter was starting to return to her stickler, rule follower roots since the marshmallow and toilet paper incidents. He would be surprised if she ever let her fun side out again. After 15 minutes of waiting, Nim decided that it was too quiet in the house. Not a creature was stirring, not even two excited little boys. “She should be here by now,” Nim said to himself. A crash came from the corner cabinet in the kitchen. Nim rushed from his spot to see what was the matter. “Glitter? What are you doing here in the…cookie cutters?” Nim was confused by the mess surrounding Glitter. Glitter stepped out of the tangle of cookie cutters and pranced around the counter, showing off her new coat and hat. There was something…different about her, and it wasn’t just the new clothes. “They left you something too. It’s over by the sink,” she added. Nim momentarily forgot about his concern for Glitter’s odd behavior. 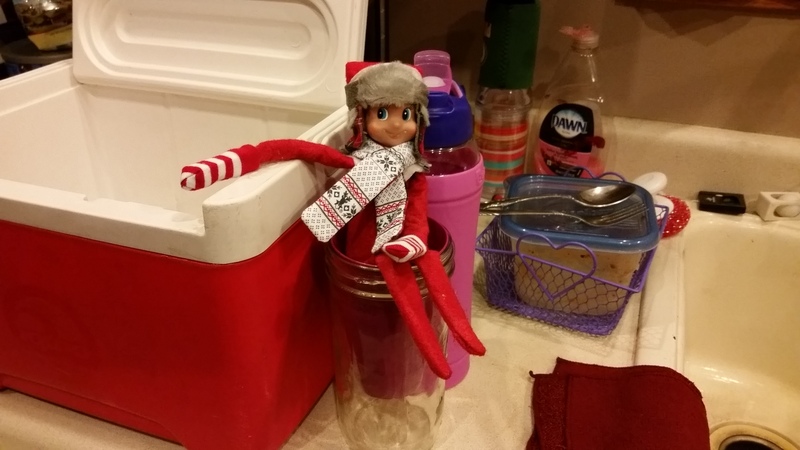 He zipped over to the sink to see what present the boys had left him. “I love it! What a nice gift!” he said as he put on his new scarf, gloves and hat. Glitter sighed in relief. He’d taken the bait. “Er, no problem,” said Nim wondering at her instructions. Just throw them on the counter? 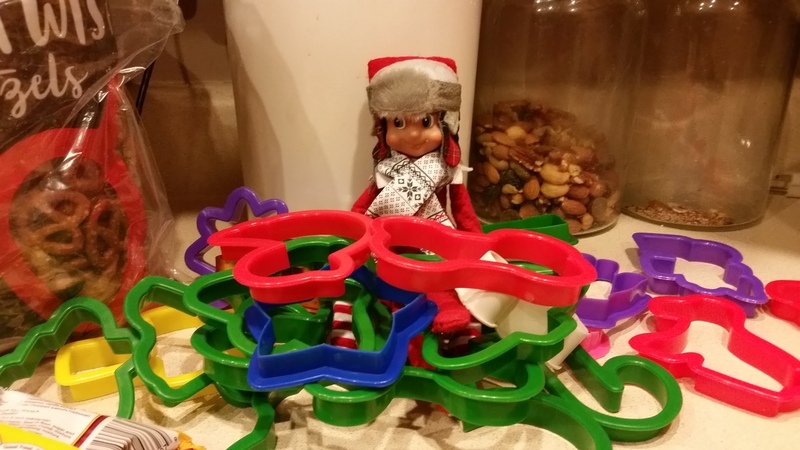 Nim shrugged and started pulling out all the red and green cookie cutters. There were snowmen, trains, gingerbread boys and girls, Christmas trees, stars and bells. “Hey, there are no Santa’s in this set,” said Nim. Nim looked around the counter and in the cabinet but could not find them. There was a note in Glitter’s voice told Nim that something was up. He sat watching her from the middle of the cookie cutters. She was busy pulling ingredients for the cookies on the counter. Surely he had imagined that odd tone in her voice. “Nim?” asked Glitter when he climbed into the mixer. A gurgle of laughter escaped from Glitter. 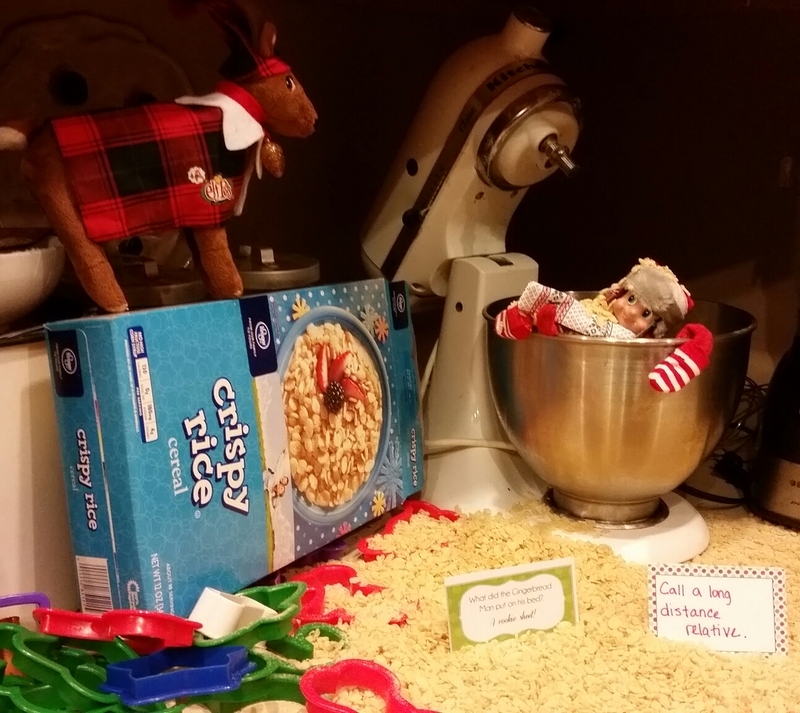 “No, we are having Elf Krispie Treats!” she yelled pouring an entire box of rice krispies all over Nim, the counter and the floor. Nim looked at Glitter in absolute shock. He was stunned…astonished…amazed! 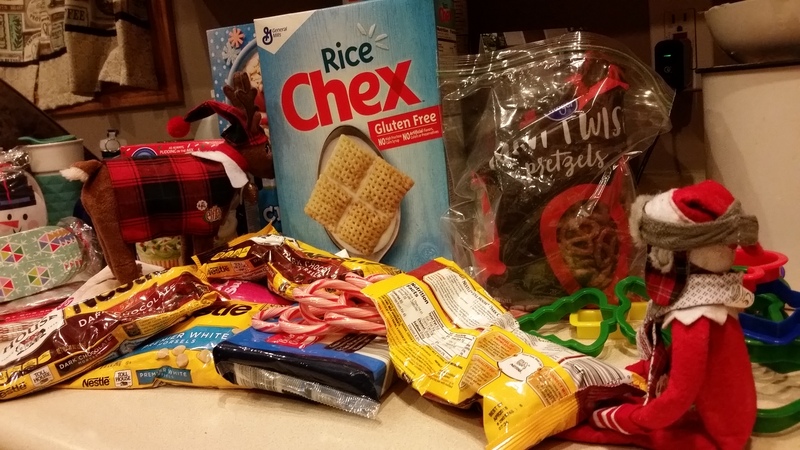 Glitter just grinned, kicked her feet scattering even more rice krispies on the floor. “Oh nothing. Nim. Nothing at all,” she said mysteriously. And with a wink, she hopped onto the rice krispies box and waited for the boys to discover them in the morning. Call a long distance relative.